Jarvis makes a compelling case for making your business better instead of bigger. 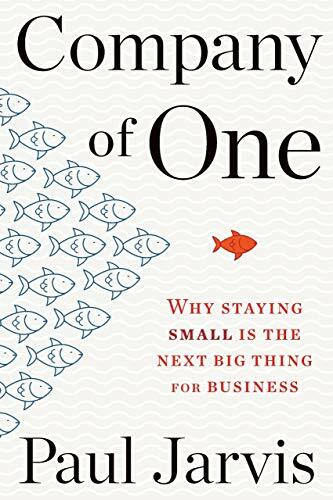 Company of One is a must-read for any entrepreneur who prioritizes a rich life over riches. You’re not a machine, so why would you run your business like one? Company of One shows you another way. If you’ve ever wondered how to have a business that works for you—instead of the other way around—you need this book.